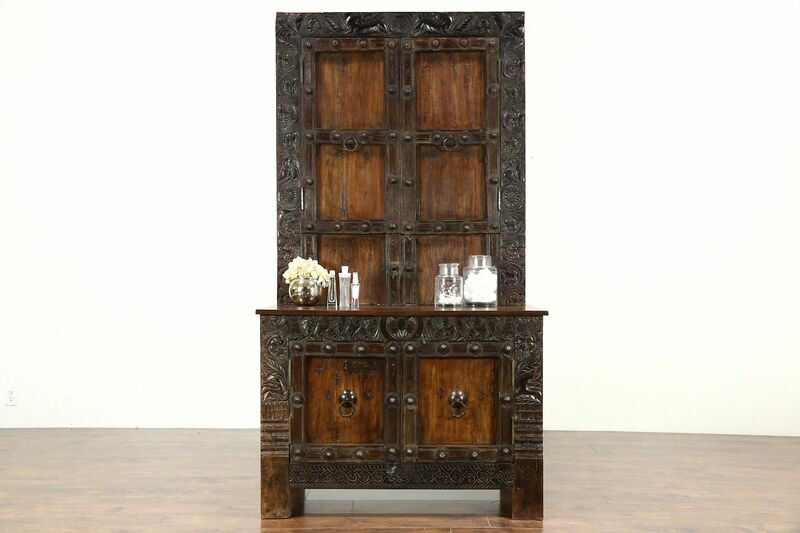 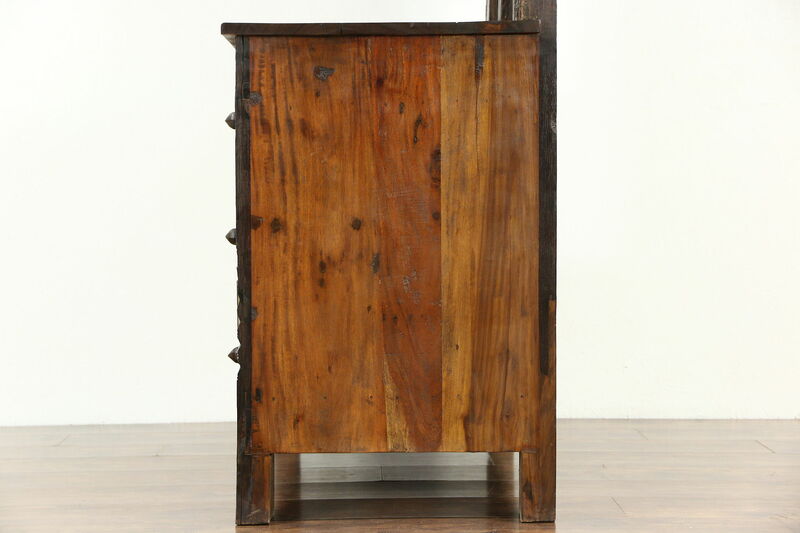 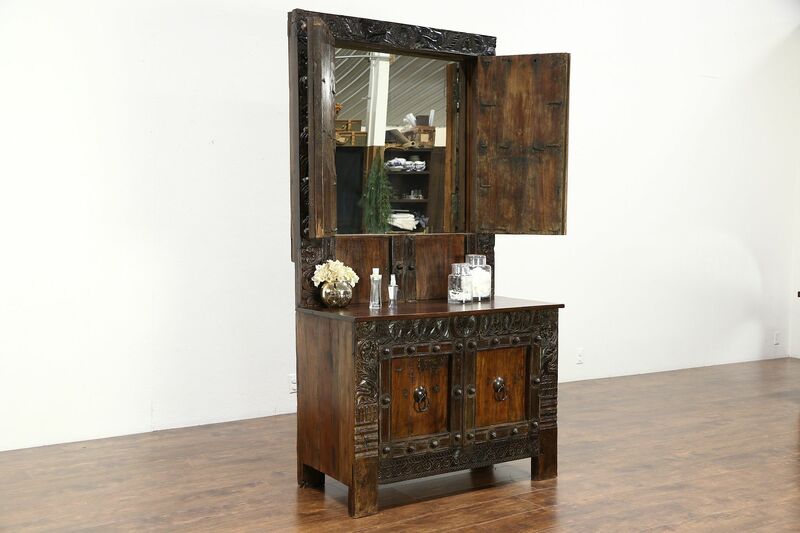 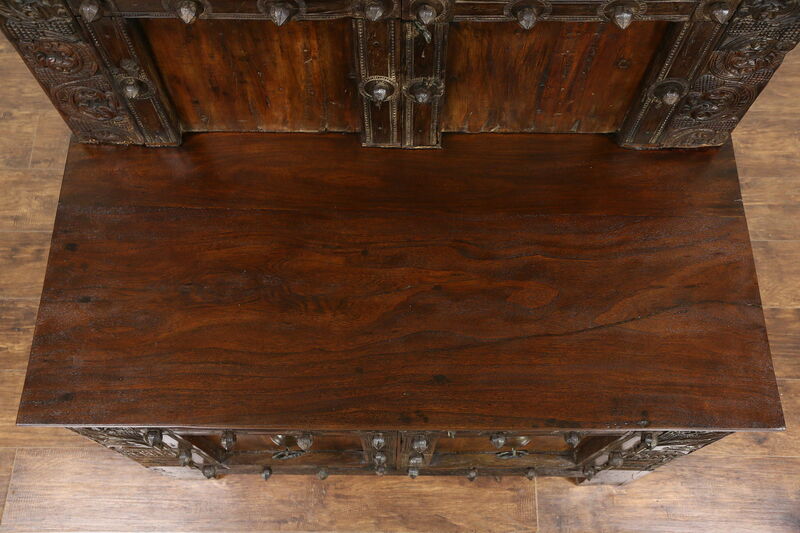 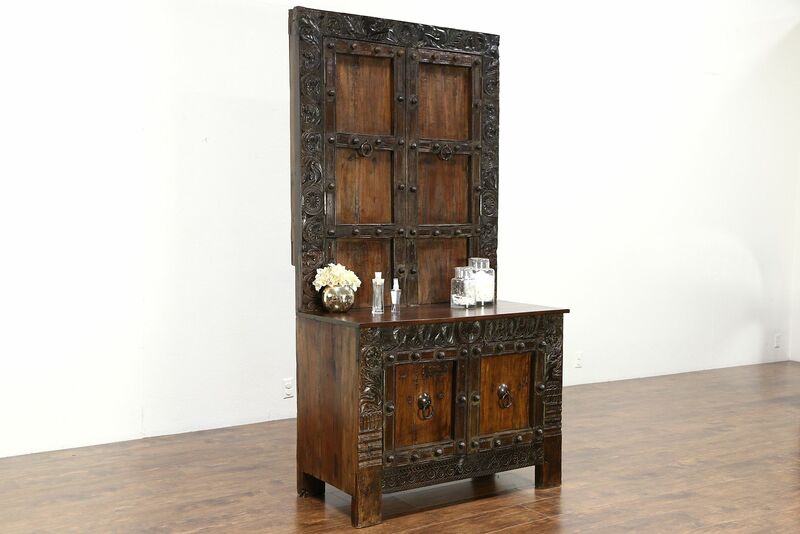 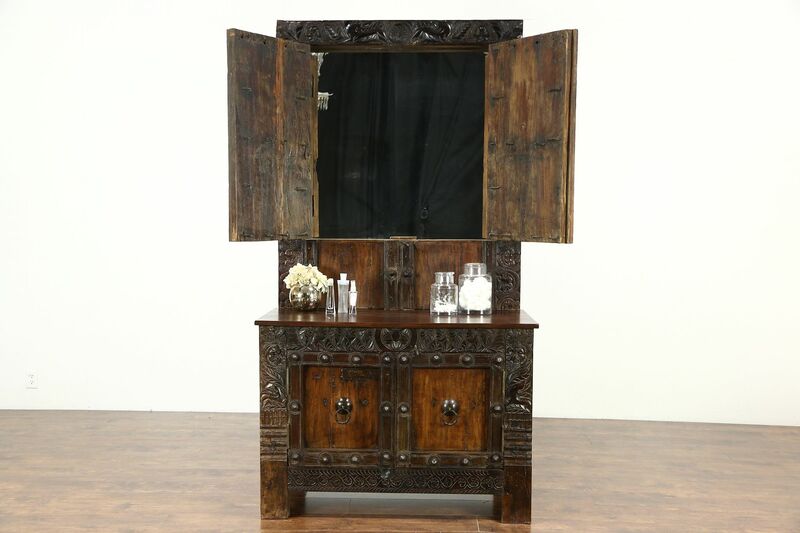 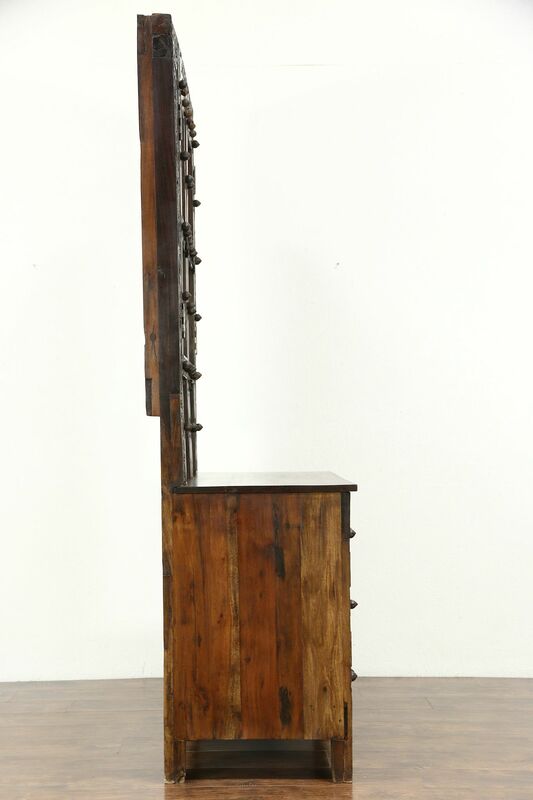 A pair of massive century old teak architectural salvage doors from Java have been remounted to make a dressing table, vessel sink vanity or bar. 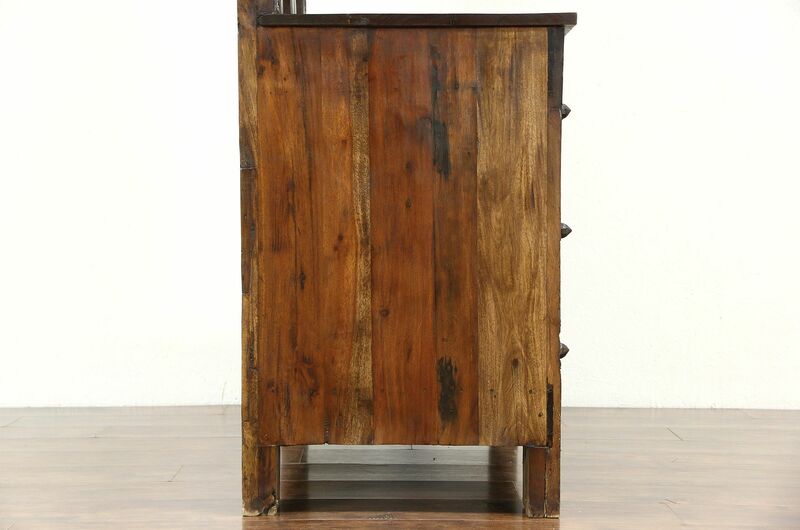 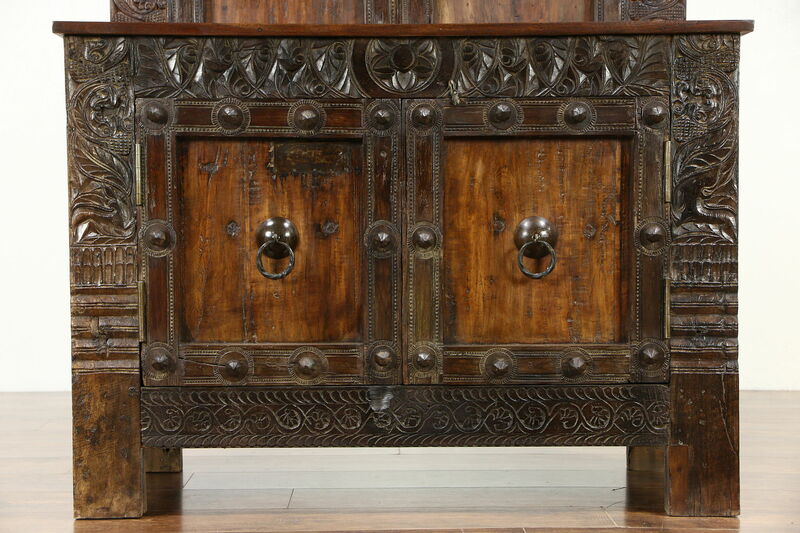 The restored finish is in excellent condition on this hand hewn cabinet. 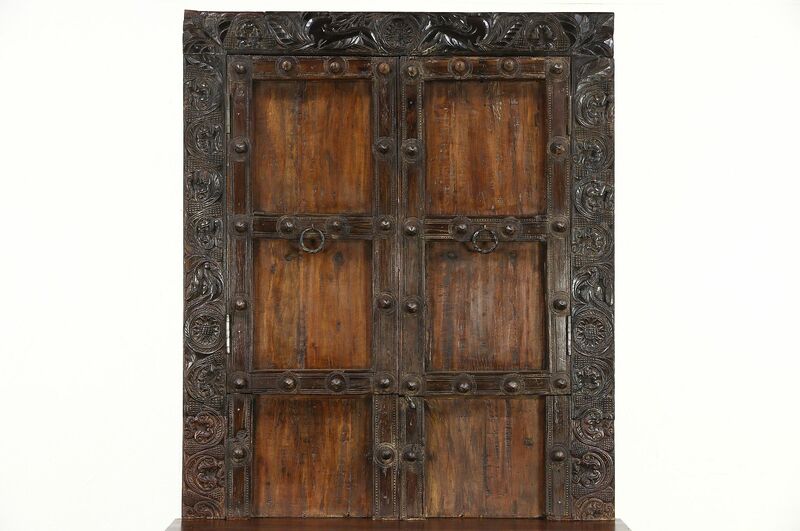 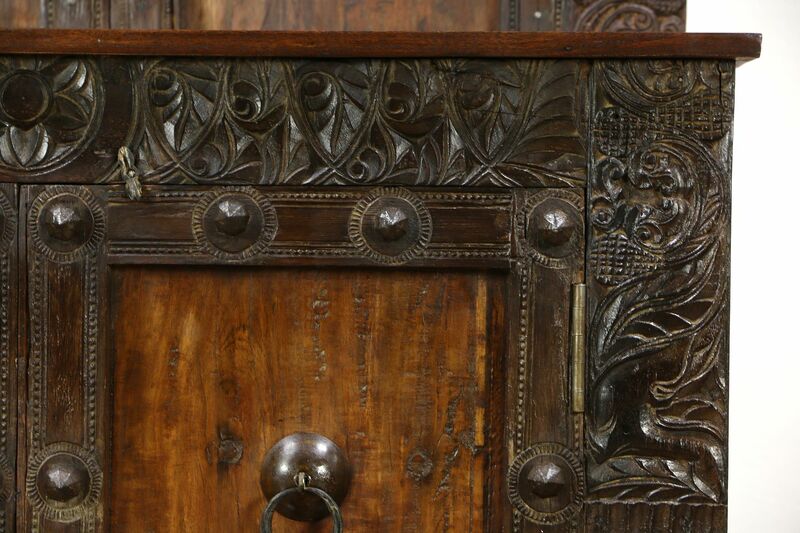 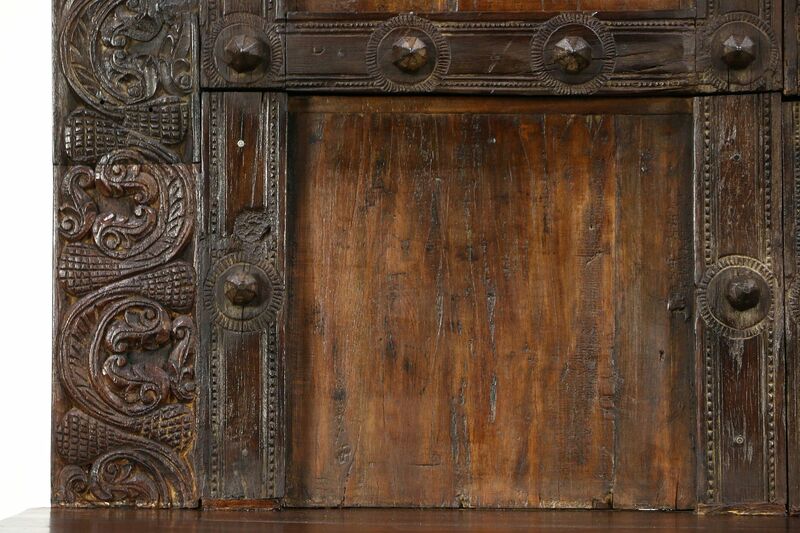 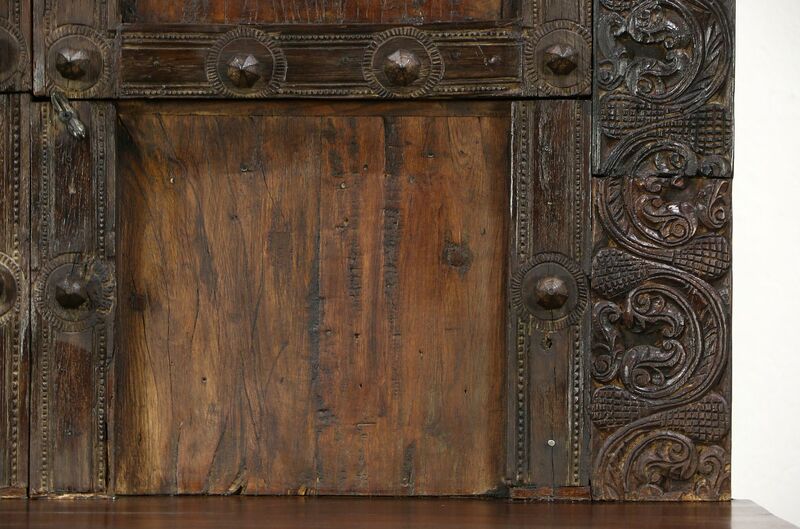 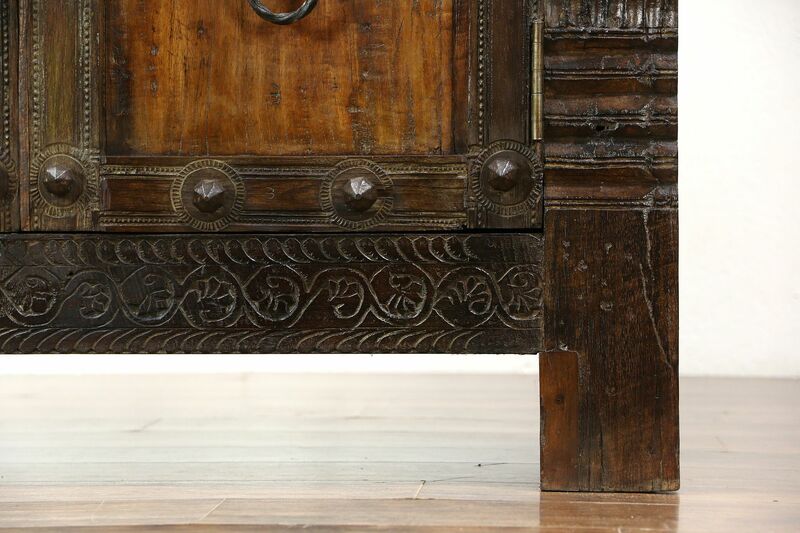 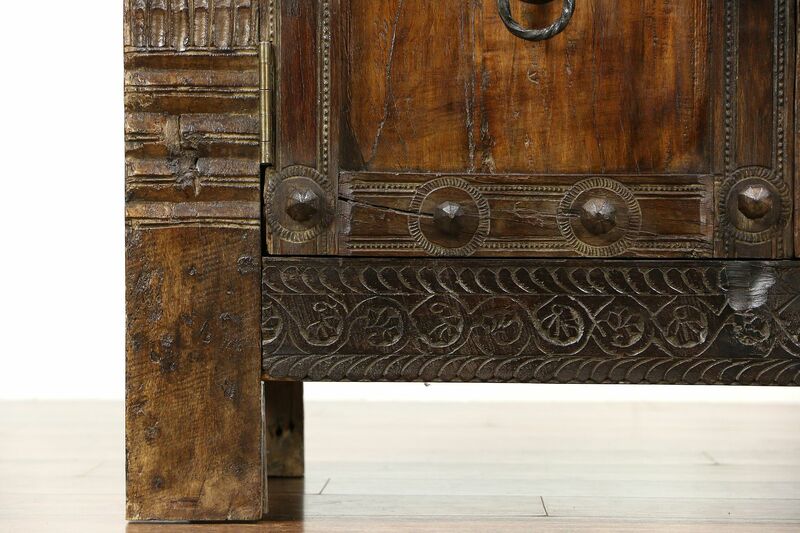 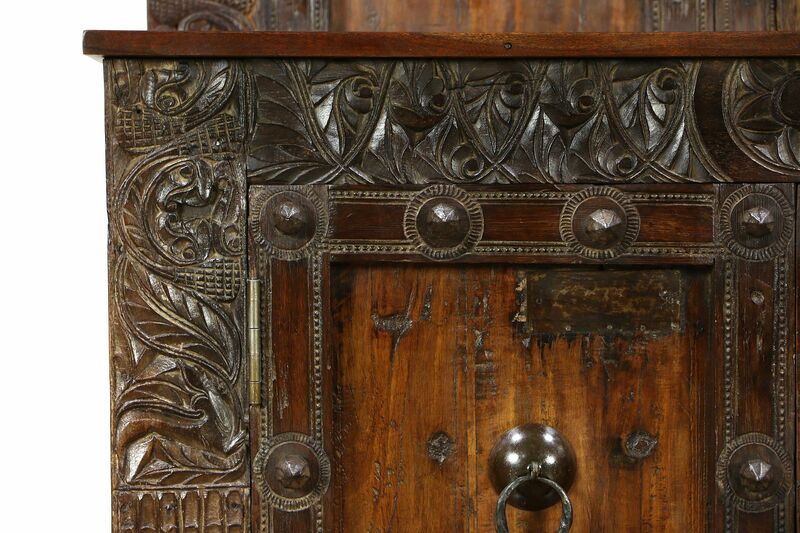 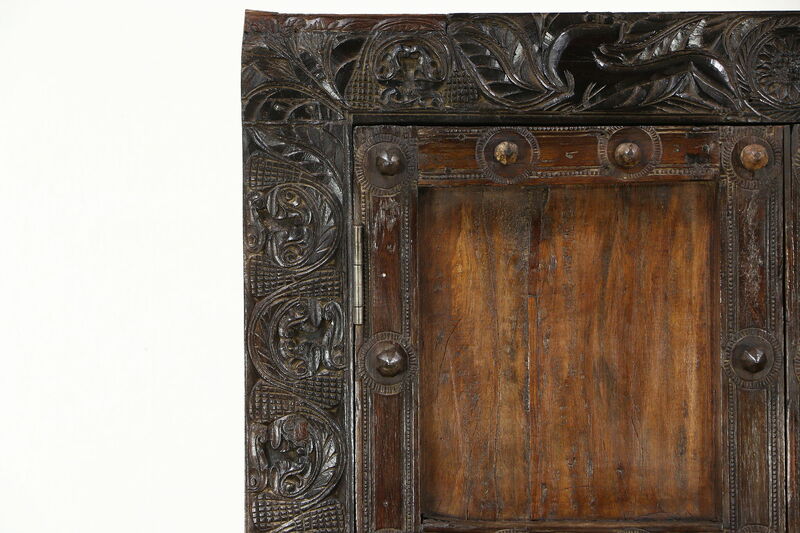 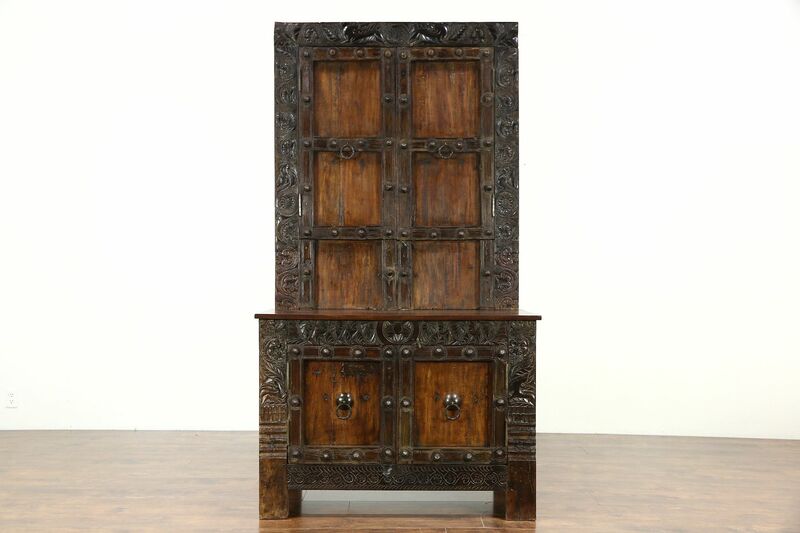 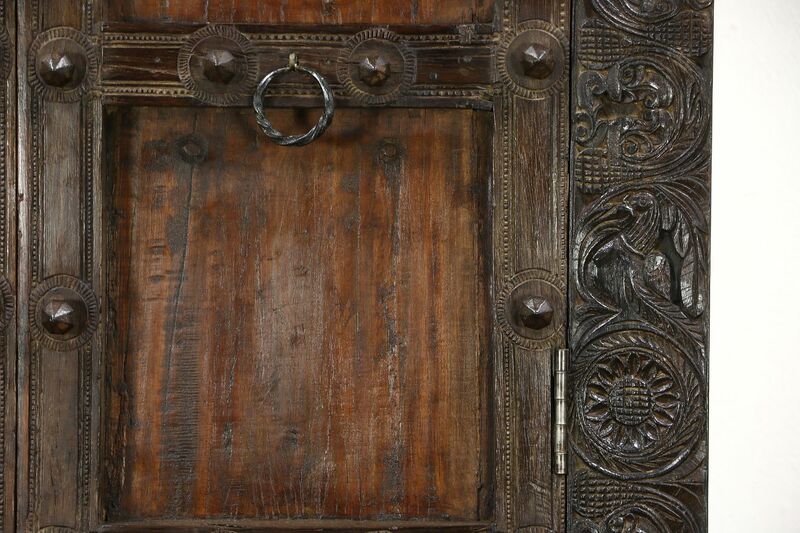 Iron studs and hardware are hand wrought on these antique doors. 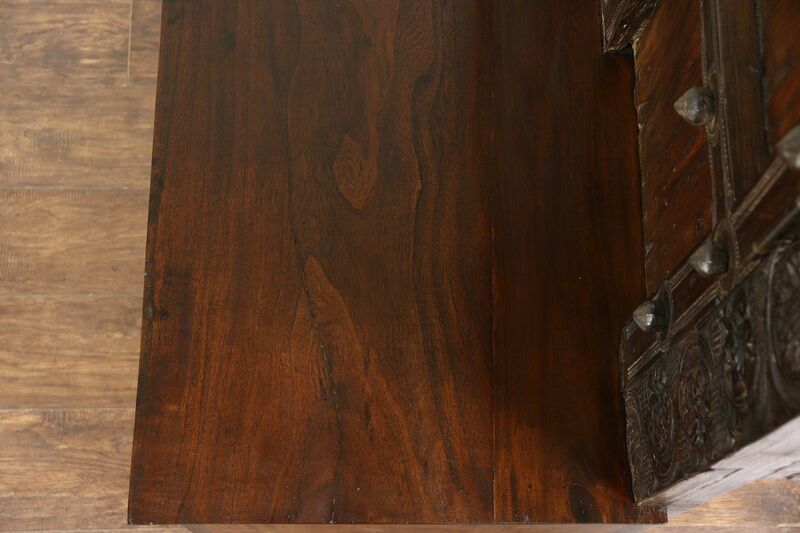 Thick planks of solid teak are hand hewn. 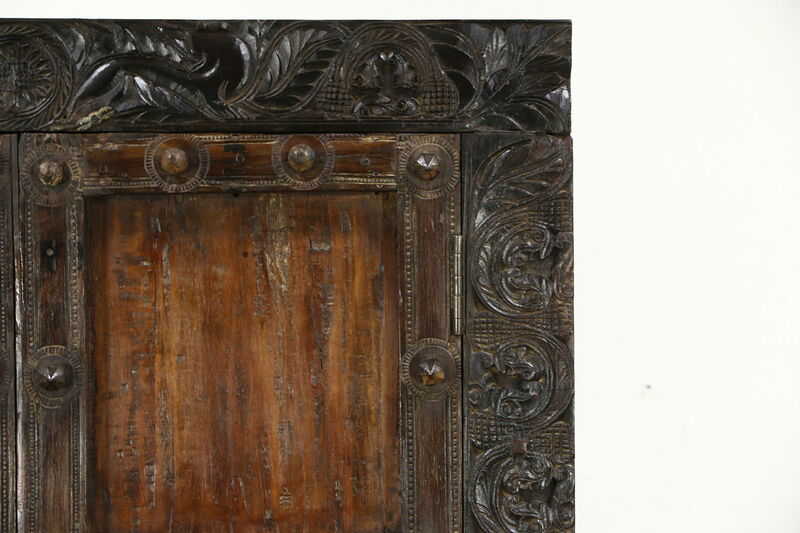 Upper doors have been cut to open over a modern mirror. 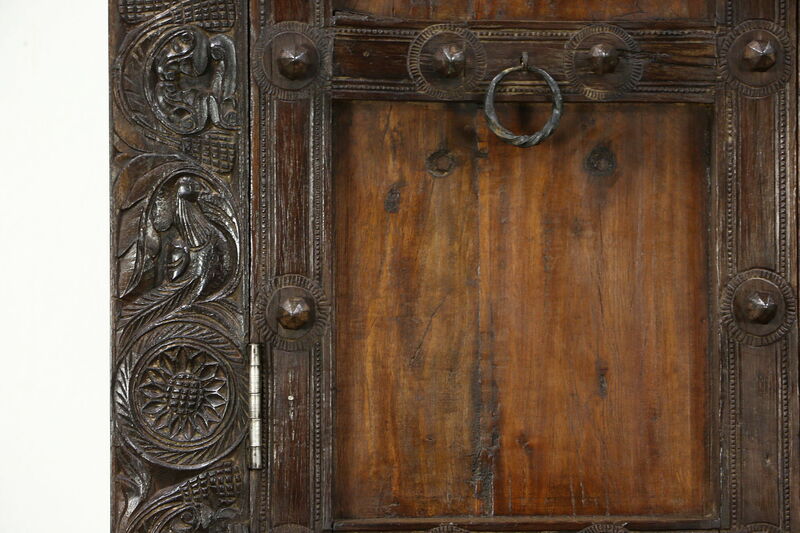 Hand carved birds and animals are masterfully rendered. 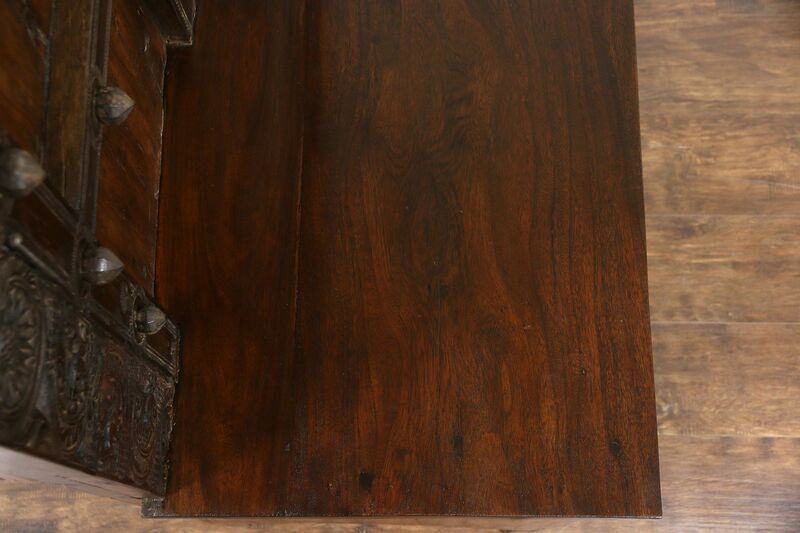 There are shrinkage separations from age. 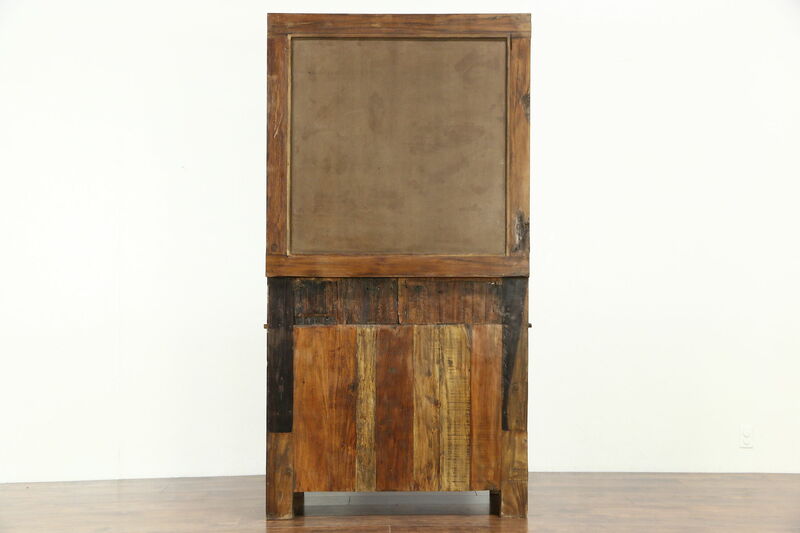 This heavy cabinet does not disassemble. 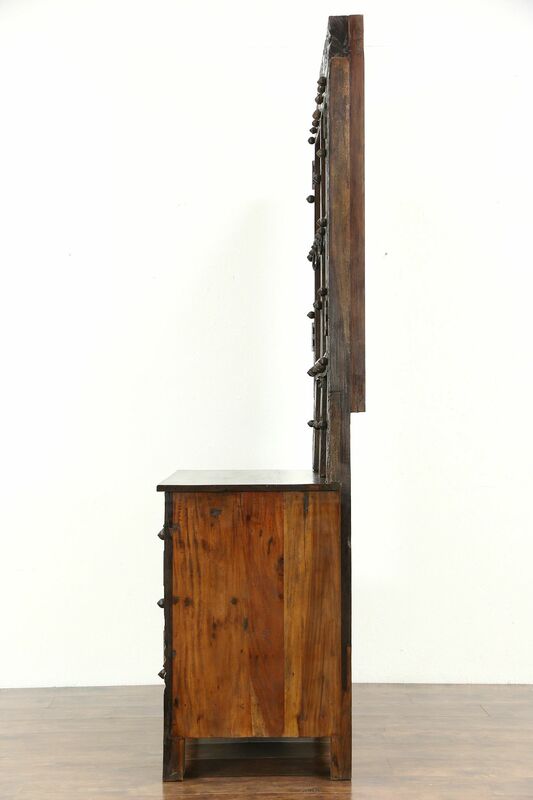 Measurements are 45 1/2" wide, 22" deep, 7' 1/2" tall and the base is 32" high.